In fact, according to the Reputation Institute, there are 20 priority reputation risks that every company should monitor. Five of these relate specifically to product recalls. Ranked #5 is the delayed reporting of product defects, #10 is a mandatory product recall, #13 product fraud, #15 repeated product recalls, and #19 unaware utilisation of toxic packaging. In fact, 50% of the risks reported in the packaging industry today mention a reputation impact. Despite this, very few companies today have a cohesive global strategy in place to address enterprise reputation risk management. In this article, I will discuss what constitutes a company reputation, how to measure reputation, the impact of strategic communications during a product recall event, and the common mistakes that companies make during a recall that effect their reputation. First let’s look at the key pillars that contribute to a company’s reputation at any point in time. According to professors Fombrun and Riel (2004), the founders of the Reputation Institute, a company’s reputation is based on the strength of seven dimensions: economic performance, leadership, governance, products and services, innovation, workplace and citizenship. The sector and countries that a business operates in influences the weightings of each of these drivers, which combine to contribute to an overall positive level of trust, esteem, admiration and good feelings for a company and its brand – a positive reputation. When a crisis event occurs, such as a product recall, inferring that any one of these dimensions is no longer true, depending on these weightings, it can have a significant negative impact on the company’s positive reputation that results in lower levels of stakeholder trust, esteem, admiration and good feeling about the brand. Under this analogy, if like a bank account, you make more deposits than withdrawals, it assumes you will have a strong reputational capital. The only issue with this analogy is that it considers reputation as two ends of a single variable (see below). Rutgers professor and RL Expert’s risk communications and outrage expert, Dr. Peter Sandman argues, that if reputation is like a bank account, then a company that experiences a big reputational enhancement and an equally big reputational hit (in either order) should have nothing left – i.e. no reputation or a low profile. Other cases demonstrate that this is clearly not the case. e.g. BP’s Beyond Petroleum campaign that focused on its environmental leadership and its Deepwater Horizon Spill. His logic is that if your positives and your negatives are both high, you can have a good reputation AND a bad reputation. That is, you’re simultaneously much-loved and much-hated – usually by different people. For example, some people may have a love-hate relationship with a retailer, loving its low prices, while hating its poor service. Therefore, reputation management, put simply, is two jobs: trying to be more loved and trying to be less hated. This is a very important point, because the strategies in which to manage “being more loved” are very different to the ways in which to manage “being less hated”. This is particularly critical when managing the stakeholders that relate to a company’s legal and regulatory license to operate or social license to operate risks. Common approaches to reputation risk management assessment include utilising data inputs from content harvesting, applying a methodology for content analytics and assigning relevant weights and scoring to content, sensitive topics, the influence of the sources, the prominence of the content, its sentiment/advocacy and its relevance. Correlation models are then applied and allocated distribution fit with various simulation models. These simulation models, forward-looking in their design, can predict changes in sales, income and profit as a result of changes in sentiment or advocacy – key factors for consideration when faced with the challenge of a product recall or risks to your licenses to operate. 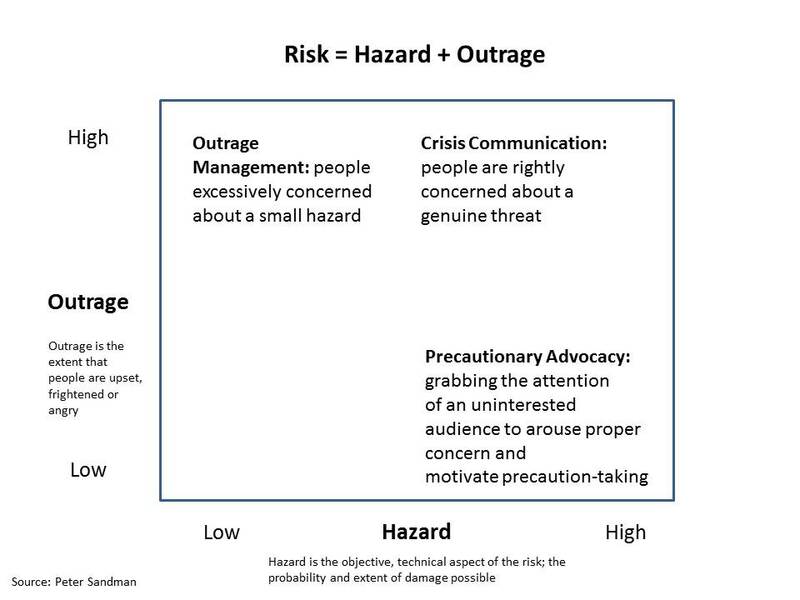 While risk managers have traditionally assessed for likelihood of hazard and probability, today any board or risk manager who fails to address “likelihood of outrage” and “velocity” in their risk assessment process do so at their own peril. Today we live in the ‘Age of Analytics’ where tools and data sources are now available to help companies identify the “inside out” or “outside in” perspective on issues related to their company’s license to operate at any point in time. Zurich-based RepRisk is an “outside in” screening and due diligence tool for environmental, social, and governance (ESG) risks, favoured by asset managers in the financial markets for its daily updates that provide input into portfolio screening. It was the only ESG research data provider that flagged the high risk exposure related to Volkswagon before its emissions scandal broke in January 2016. VW was found to be using a “defeat device” that let its cars produce up to 40 times more pollution than legal limits without being detected. The news saw VW’s market cap drop by $17.6bn in just three days, its chief executive resign and more than 11 million cars globally being impacted. VW was considered “high risk” by RepRisk as early as September 2014, when the company reached a RepRisk Index (RRI), of 66 – well over the high-risk threshold of 50. This score was due, in large part, to systematic risk incidents related to governance issues such as anti-competitive practices, misleading advertising, corruption, and fraud alleged by its stakeholders from around the world, including China and India. governance (ESG) risk exposure for Volkswagen over the past two and ten years. The Reputation Institute’s RepTrak® data that monitors consumer sentiment by country found that VW’s reputation dropped significantly from 69.7 in 2015 to 63.4 in 2016 off the back of its emissions scandal (where a score of 50 indicates a high-risk threshold). Perceptions of the company’s corporate citizenship dropped by 10 points, damaging Volkswagen’s reputation as a champion of the environment and community philanthropy – key drivers of their corporate reputation and enablers of their social license to operate and market access. The dimension that was hit the hardest, however, was governance. 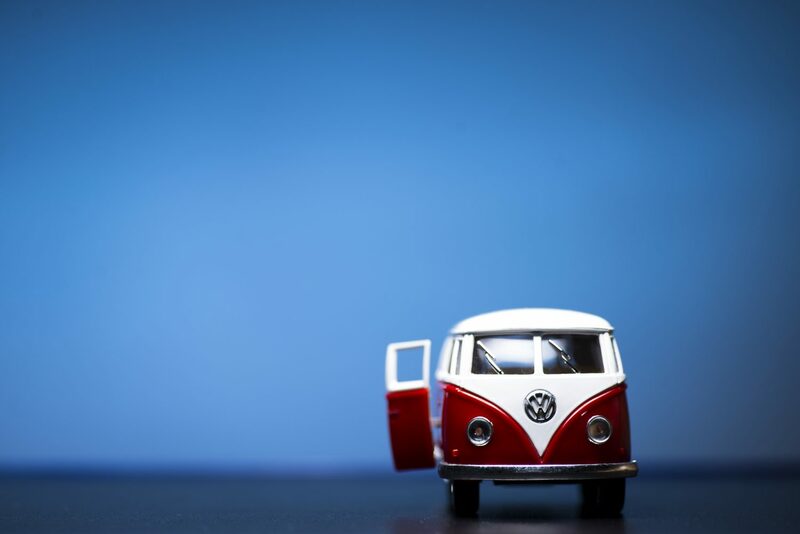 Stakeholders’ perception of Volkswagen’s governance performance here is most material to the company’s economic performance and of key concern for both their investors and regulators. The company’s score fell by more than 10 points indicating that its stakeholders view the company as significantly less ethical and transparent than before. On rational dimensions, stakeholders’ perception of the quality of their leadership, dropped by more than seven points as the management and chief executive failed in addressing the issues early and effectively. Criminal prosecutors’ pursuit of corporate executives is a rare occurrence in the context of product recalls. In peer recalls with GM and Toyota, where safety defects led to fatalities, the companies paid big fines but admitted no criminal wrongdoing; and no executives saw the inside of a prison cell. In the case of VW, the chief executive was forced to resign, and now he and six of its executives face criminal charges over the scandal. As the VW case illustrates, all too often in recall events, executives rely too heavily on communications. Their notion is that by addressing stakeholders’ concerns alone, it will stave off the negative impacts of the recall on the company’s reputation. But for a communications programme to be effective and reputation risk to be managed, it is vital to take into account not only the specific type of communications to be deployed, but also the perception versus the reality of the operational situation. “People who loved you pre-recall may now love you less. They are more inclined to look for reasons to excuse or at least forgive your behavior, so they can hold onto their prior positive view of you.”Dr Peter Sandman. Take an earlier recall event by Toyota, where more than 8 million cars were recalled owing to an alleged fault of “unintended acceleration”. Clearly the focus for Toyota needed to be on “mitigating negative reputation”. But imagine a PR professional focusing on building “positive reputation” during this recall, reminding its consumers of all the good things that Toyota was doing. By appearing to distract consumers and Toyota employees from its serious current problem – the recall – is clearly not reputation risk management. If we look at this from a communications strategy perspective – or more specifically in this case where hazard is high and outrage is high – it should not be PR they are deploying, but crisis communications. If the consumers only perceive there is a hazard, but the company does not believe one exists or the probability is very low, the strategy that should be deployed is “outrage management”. Often a company in the early stages of a recall, may not yet have ascertained whether a hazard does or does not exist. In these cases, where potential hazard could be high, but outrage is low, precaution advocacy or risk communications is an essential communications strategy, with the key message of “watch out”. The following ‘acid test’ can assist companies to more effectively align their stakeholders’ perception with the company’s reality and ensure the right messaging. If stakeholders’ perception of the incident is good and the reality of operations is bad: Talk to your supporters in order to mitigate the damage to positive reputation. Address the gaps with consideration to overhauling quality control and assurance, security, traceability and retrieval procedures. If stakeholders’ perception is bad and the reality of operations is bad: Talk to your critics in order to mitigate the damage to negative reputation. The more proactively and publicly you can address the gaps with consideration to overhauling quality control and assurance programs, the better. This is an opportunity to acquire and retain stakeholder trust by delivering on promised improvements. If stakeholders’ perception of the incident is good and the reality of operations is good: This is an opportunity for crisis leadership. Exploit communications and operational best practices to capitalise on building greater reputation and brand equity and sustain stakeholder’s trust. If stakeholders’ perception is bad, but the reality of operations is good: You are in the opportunity zone. Focus on stakeholder engagement to showcase the strengths of your quality control and assurance programs, plant security, product traceability and retrieval procedures. How many products have been affected? Where? What caused the product recall? What action has been taken so that it never happens again? These six facts serve to ameliorate the damage to a company’s positive reputation. To ameliorate the damage to negative reputation, the most important messages are those of acknowledgment, empathy and contrition. What is rooted in risk communications evidence, is the need to respond to the reputational threat of the recall separately for the two audiences: those that love you, and those that hate you. There are those companies who focus entirely on protecting their positive reputations, aiming their messaging at customers, suppliers, shareholders, and others whose pre-recall attitudes were positive. However, negative reputation has a greater impact on a company’s bottom line and access to capital than positive reputation. Companies’ tendency not to reach out to critics during and after a recall can be a larger error. Instead there is a tendency to over-focus on the goal of becoming more loved by supporters and not to realize the value of becoming less hated by critics – a point critical to it retaining its legal and regulatory and social licenses to operate. There are two streams of activities where things can go wrong in any recall: the executive of the recall; or communications to the company’s distribution. 1. Does not take accountability: Often recalls are linked to other parties in a company’s value chain that may have some level of contractual responsibility. Volkswagen and Toyota are both excellent examples of this. However, there is significant research and market performance evidence that demonstrates that laying blame at scapegoats, third parties or partners only serves to harm everyone involved and often can only delay the effective execution of the recall and stakeholder engagement plan. A company and its leadership are better to accept all accountability, take ownership of all activities for effective execution and pursue the appropriate recourse/compensation with their employees, third parties and partners at an appropriate date. 2. Battening down the hatches: In today’s environment of interconnected reputation risks, the first thing companies often do is to batten down the hatches and stop engaging or communicating with their stakeholders. Unfortunately, this void is typically filled with public and company’s naysayers, and self-appointed experts, often to the detriment of your company. 4. Concentrates on either the legal/insurance or technical/competence side of a recall: Companies are often dissuaded from admissions of fault due to concerns around financial liability or forced to focus on the ‘technicalities’ of their issue or the competency of their company. This is because those advising are typically not remunerated to care about reputation management. The faster a company apologises, completes the recall, shows empathy to and compensates its victims, and addresses the root causes to ensure it never happens again, the faster it can get back to business as usual. It is biologically proven that when a person is scared, they do not hear as well. Research shows that overwhelming them with lots of technical information is found to not be heard and only further outrage consumers. When a company fails to show empathy and concern and focuses only on its competence, this is a primary accelerator of outrage in its stakeholders. To summarise, the following seven points are critical in effective reputation risk management for a product recall event. Stakeholder engagement: managing the company’s negative AND positive reputation with consumers, investors, regulators, media, NGOs and authorities. Strategic alignment: Integrating both positive and negative reputation and brand-specific metrics into the broader set of business goals and adopting a comprehensive reputation risk management strategy. Expanding enterprise risk management: ERM should include reputation risks and a risk assessment process that includes factoring outrage and velocity into your risk assessment. Vendor management: Third party contractors should only be considered as a supplement rather than replacement for effective reputation risk management. You cannot transfer the risks of reputation. Ensure that all stakeholders are contractually accountable and practiced and experienced in retrieving and disposing of recalled product. Focus on timely transparency along the value chain: Identify which channels are involved and accurately assess how badly they have been affected. Ensure they are armed with the facts and given clear instructions and support to respond. Factor outrage, velocity and veracity into a lifecycle risk assessment process: Today any board or risk manager who fails to address “likelihood of outrage,” “veracity” and “velocity” into their risk assessment process do so at their own peril. Leesa Soulodre is the managing partner and chief reputation risk officer of RL Expert Group, a boutique international strategy, and reputation risk management consulting practice. During her career, she has consulted to more than 400 multinationals in 19 sectors over the past 20 years across Europe, Asia-Pacific, and the Americas. She holds deep industry expertise in financial services, technology, pharmaceuticals and biotech, and retail. An accomplished innovator and serial entrepreneur, Leesa holds 14 years’ experience as a company director and 20 years’ experience leading companies into new markets with turnovers from $4m to $14bn. She serves as an expert advisor to the European Commission on ICT Disruption and is the board advisor to Prezly (BE), Autoscout (IL, USA) and FashionMatch (KR). In 2014, Leesa graduated with an Honours equivalent, Global Executive MBA from TRIUM – a collaboration of NYU Leonard N. Stern School of Business, the London School of Economics and Political Science & HEC School of Management, Paris. 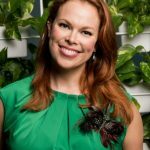 She holds a Masters in Management (Marketing) from USQ and a Certificate in Risk Management (AGSM – UNSW). 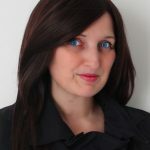 She is a certified reputation manager of the Reputation Institute, and a member of the Australian Institute of Company Directors, the Global Association of Risk Professionals, the Royal Institute of International Affairs and the Public Relations Consultants Association. Welcome to The Journal, StrategicRISK ’s series of interactive online books for professionals in the corporate risk management and insurance sector. The Journal is published in partnership with Swiss Re Corporate Solutions. For more information about StrategicRISK click here.